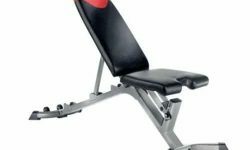 When you take the time to explore all of the fitness and exercise products on the market, you will likely discover many, which are manufactured by Bowflex. Suffice to say, this company, which is constantly advertised on television, is highly reputable and usually well respected. The same can be said about the company’s innovative new line of adjustable dumbbells. These products are capable of offering tremendous benefits, which I experienced first hand. Below, you will be able to learn more about the dumbbells and associated stand. Singular, solid dumbbells are much easier to buy, since they do not include a whole bunch of pieces. With adjustable dumbbells, you have much more to worry about. The adjustment system, weights and increments are all important. 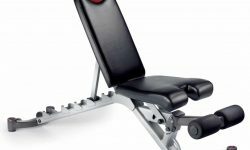 With this in mind, the Bowflex SelectTech 552 Adjustable Dumbbells are suitable for most exercise enthusiasts. As long as you’re fine with 52.5 pounds, these dumbbells will be capable of providing you with a tremendous workout. These are equipped with a turn dial adjustment system, which becomes activated, once the dumbbells have been placed in the tray. Although the stand is not necessary, I’ve found it to be truly advantageous for my specific needs and usages. The stand offers many additional benefits. For instance, it is capable of elevating the dumbbells and keeping them off of the floor. With this, you’ll never have to worry about bending over and risking your back, before your workout. 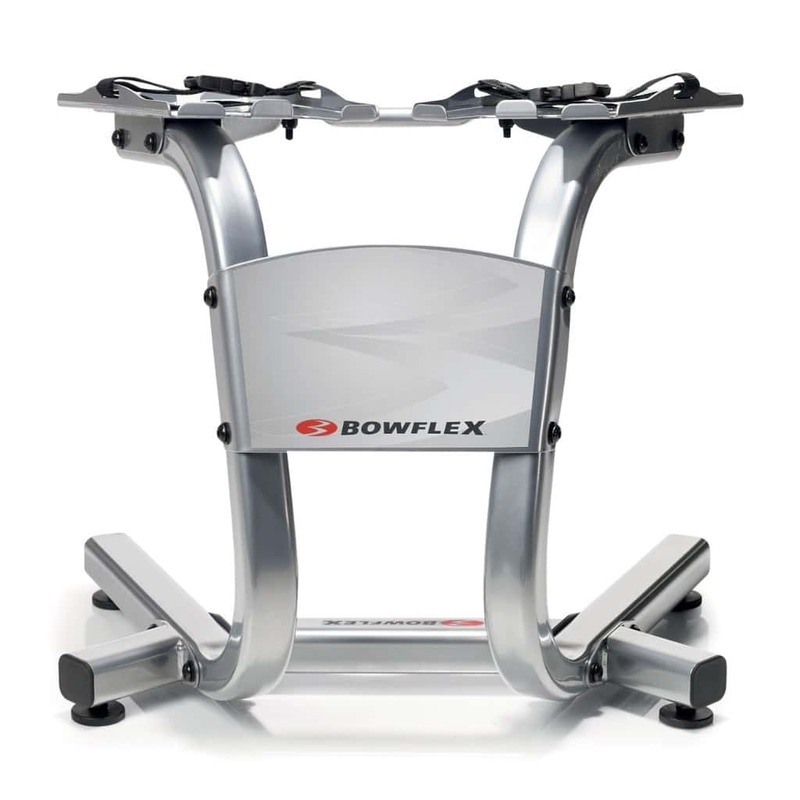 At the same time, the Bowflex SelectTech Dumbbell Stand (2013) is moderately sized and can easily be stored out of the way. The dumbbell tray is capable of perfectly sitting in the holders, which prevents them from taking a tumble. The stand’s design also helps the user get very close, before they lift the dumbbells. This is extremely important, since over extending can lead to injuries. It is vital to remember that the stand is versatile and can be used with both of Bowflex’s adjustable dumbbells. 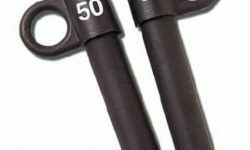 Before following through with the purchase, you need to make sure that these adjustable dumbbells are sufficient for your particular needs. As mentioned above, their maximum weight is 52.5 pounds. Of course, it doesn’t stop there. With this specific set, it is possible to replicate the weights produced from 15 others. Within the first 25 pounds, it is possible to adjust the weight in 2.5-pound increments. After you’ve hit this amount, the weight will begin to scale up by 5 pounds. Either way, you can rest assured that you’ll be able to find a specific weight, which is suitable for your strength and exact workout. If you’re looking to develop a workout room, it is very beneficial to purchase this combination. 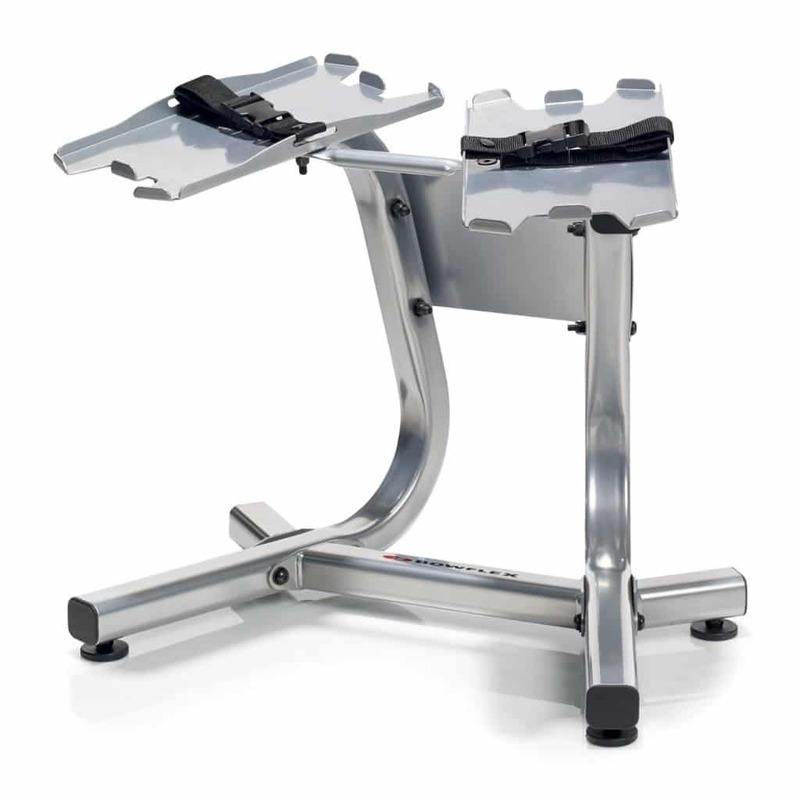 The stand will ensure a safer workout and a much more stylish display. It is also essential to remember that these dumbbells come with a 2-year limited warranty, which covers plates and parts. A 1-year warranty is also included and covers labor. 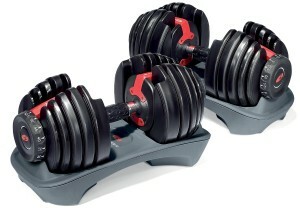 With these bowflex dumbbells, I can effortlessly transition from one exercise to the next. For that, I love them tremendously!